*Kindly plug in your headsets or volume up your speakers, this is a different kind of blog post readers!. about: I'm excited to share to you guys about the future writers for my blog and the trilogy post series that i'm gonna be creating soon! Check out the podcast! Click this for the link to this podcast in soundcloud. I like your voice!!! Good luck in your endeavour!!! Cheers!!! Hi! Nice post. Thanks for sharing. Nice method of sharing. Thanks! when i look at stories, i want it to be simple yet realistic. Parang yung "that thing called tadhana lang" simple yet realistic. And yes, ikaw din please magpodcast ka na para marinig ko din voice mo, hahaha, for years na tayung magkakilala virtually and finally! hahaha, looking forward for your own podcast as well blue! yes aryln! please link ex! hoho. Well, we'll never know what the story would run somehow but hopefully it's gonna be realistic as it should be. You're creative and passionate to get the gospel message out and I like the versatile methods! Praying for your success and strong anointing! Thanks mary, as of this time, we have to do everything (in all medium) to share the gospel. Hi, Steve! Thank you for dropping by my site. Looking forward to your devo series :) God bless! Thanks Jac! Will keep up with you soon! AW! thanks you liked it! Wow, nice idea! 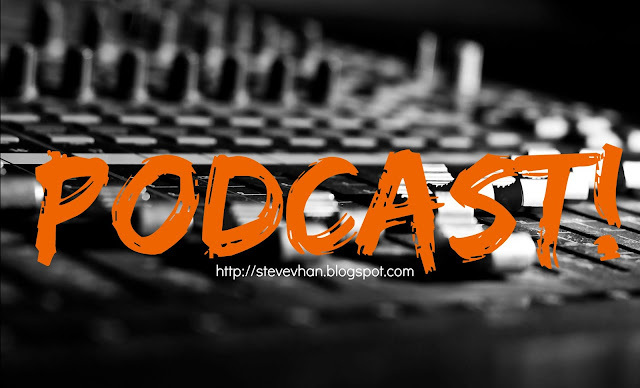 :) I want to create a podcast din! Haha!~ :D Looking forward to the next podcasts! This is sure different, but nice. The whole Trilogy idea seems very awesome. I also nominated you for the Versatile Blogger Award. Check it out! Thanks Mich, will be checking this out soon!